Melazeta is the winner among the 13 companies that participated in ‘BOLOGNA SI METTE IN GIOCO – PLAYABLE BOLOGNA‘, the competition launched by the Municipality of Bologna to make a video game that promotes the city. The winning game, ‘WunderBO‘, will take the user on a journey to discover the cultural heritage, stories and special characters of the city of Bologna. 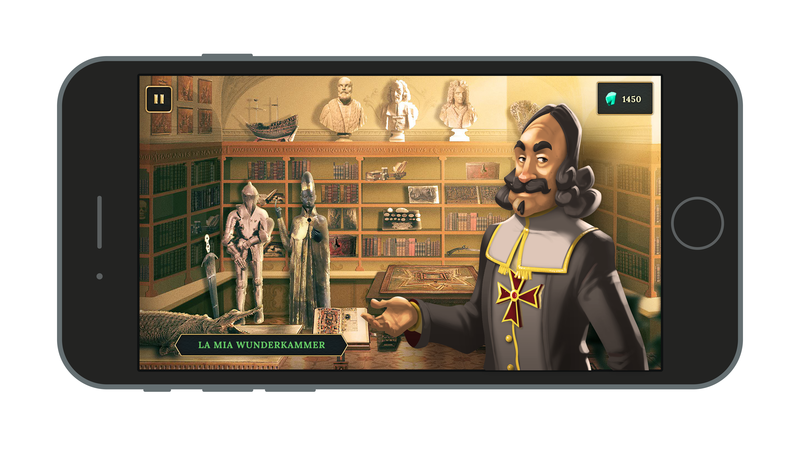 The app proposed by Melazeta is in fact an adventure based on puzzles and enigmas, a ‘hidden object’ that revolves around the player’s Wunderkammer: a virtual “wonder room” in which to collect the items from the collections of the naturalist Ulisse Aldrovandi, the collector of wonders Ferdinando Cospi and the founder of the Institute of Sciences Luigi Ferdinando Marsili. Along the way, the player will get to know these famous Bolognese characters better, talk with them and in the meantime recompose the clues scattered within the narration. WunderBO will invite the player to discover Bologna and its museums, completing their collection of finds by visiting the Museo Civico Medievale and Museo di Palazzo Poggi. Player may also share their progress via the social networks by participating personally in spreading the knowledge of the city and its treasures. Melazeta is a digital agency founded in 1998, with legal and operational headquarters in Modena and a registered commercial office in Milan. It is specialized in the creation and design of B2B games and gamification environments for educational and marketing purposes and in the development of mobile apps and it has a vertical experience in the kids/tween communication target. The internal team, made up of 14 professionals as well as game designers, creatives and developers, has produced over 80 apps over the years. In the beginning the company developed only online games and in 2010 it started to work with mobile games which it has gradually enriched with Augmented Reality and Virtual Reality technologies and prelocalised Proximity. The game will be ready for online play by 2019. This competition is co-funded by the EU Horizon 2020 research and innovation Programme through the ROCK project (ROCK Regeneration and Cultural Heritage in Creative and Knowledge Cities), as well as by the Municipality of Bologna and the Emilia-Romagna Region through the INCREDIBOL! – l’INnovazione CREativa DI BOLogna (the creative innovation of Bologna) project, which supports the development of rising cultural and creative professions and enterprises.